One of the best parts of renovating your bathroom is updating your shower. A new glass shower door is an exciting design element that instantly upgrades your bathroom. Choosing the right door for your bathroom décor is important as your glass shower door will become the focal point of your bathroom. You’re ready to get started on your shower door remodel. But you don’t want to just dive into it without doing a little planning. 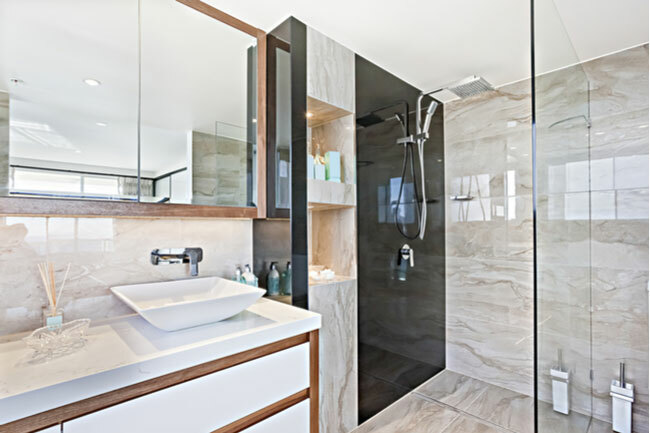 You should ask yourself and your glass company some questions before you get the process started with those new, sparkling glass shower doors. You’re loving your new glass shower doors. We get it, they’re awesome. But you want to make sure that you keep them clean. Glass shower doors are actually easier to clean than you think. 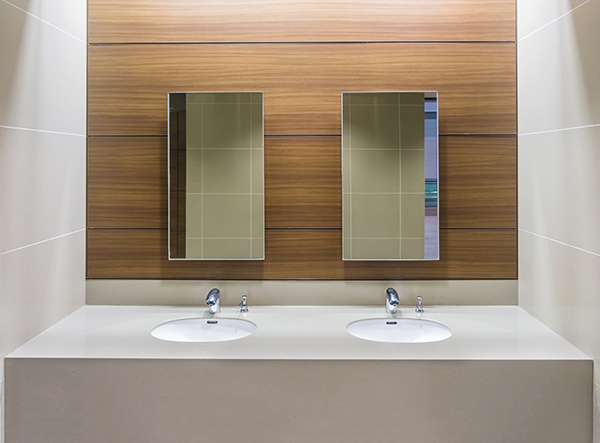 You can keep them looking sleek for years if you regularly clean them and proactively prevent water spots. 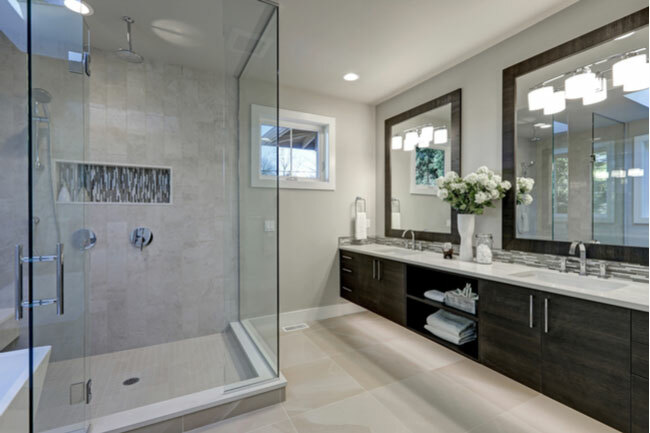 Upgrading your bathroom with a new glass shower door is exciting! But it can also become daunting. Once you start researching, you could fall down a rabbit hole of options and things to consider. Don’t let that happen to you! 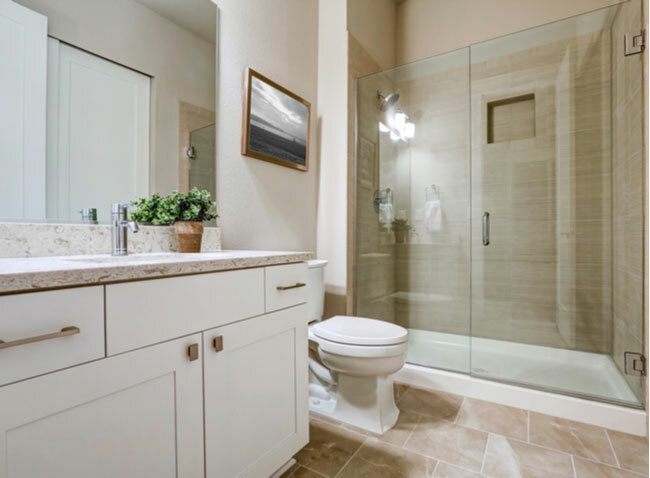 Let us help you streamline your decision process with these four simple tips on choosing a new glass shower door. 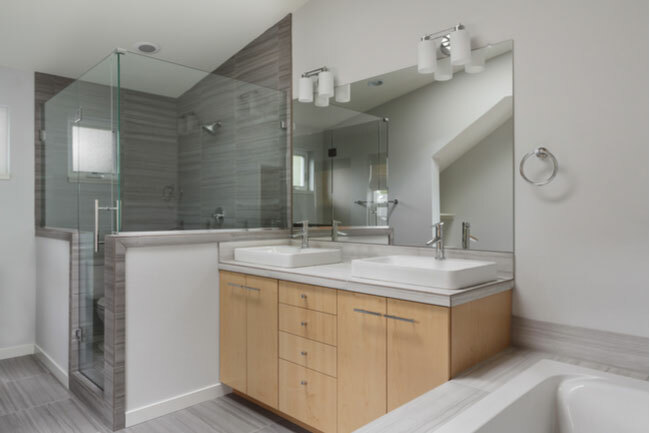 You would be amazed at how a few upgrades using glass can change the whole look of your bathroom. 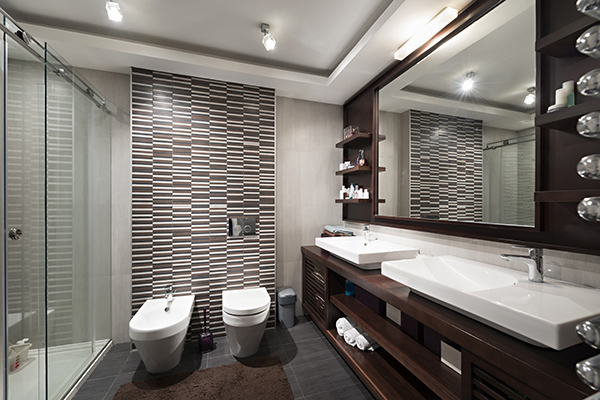 Not only will your bathroom look great, but it will also add resale value to your house. From adding glass shower doors, to installing big mirrors, to frosting your windows – it’s a win-win. One common complaint about glass shower doors is that they are hard to keep clean. Hard water, soap scum, humidity and heat can all have damaging effects to glass over time. University Park and Highland Park are areas that we quite often see glass that has been damaged over the years due to the effects of hard water. Guardian Industries solution to this problem is a product called Shower Guard. Shower Guard glass is different from ordinary glass due to Guardian’s patented ion beam process which protects the glass during the manufacturing process. This technology is not a spray on solution that will only wear off over time. 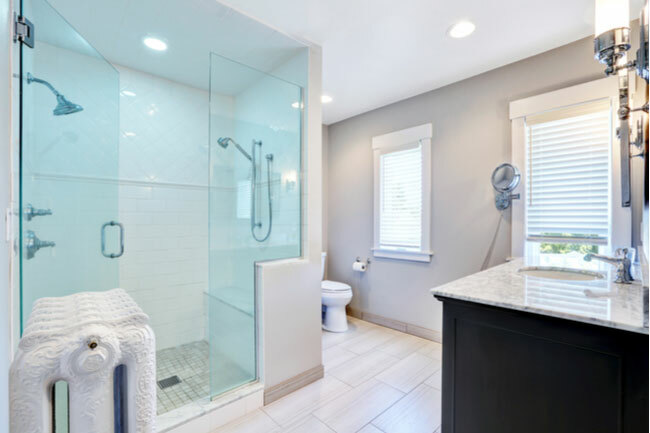 This is a permanent solution where the glass is sealed during the manufacturing process which leads to a beautiful glass shower door that stays beautiful shower after shower with minimal cleaning. This is not a self cleaning product. You still have to wipe the shower down with a soft cloth and one of the many glass cleaning products on the market. Think of it like a teflon pan, it still has to be cleaned but it is easy to make it look brand new again. 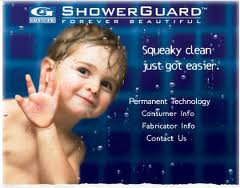 Shower Guard glass comes with a 10 year manufacturers warranty. If the Shower Guard glass ever becomes damaged to due to soap, water etc… during the 10 year period, Guardian Industries will replace the glass at no cost to the original owner. Alamo Glass & Mirror is a registered dealer of Shower Guard glass. We have installed many framed and frameless glass shower doors with Shower Guard glass in University Park over the years. We have had great customer feedback on the product. If you live in University Park, or in the Dallas and Ft Worth metroplex contact us and see if Shower Guard glass is right for you. What Could The Future Of Glass Look Like? When it comes to glass, the future is closer than you think. There are more and more advances in materials and technologies being used with glass. Just think about the touch screen smart phones that 9 out of 10 people seem to be carrying these days. The screen is made of glass, and the glass plays a major role in the operation of the phones. Corning Incorporated, a leader in specialty glass products and ceramics, has a vision of what role glass will play in our lives in the future. This video by Corning shows example of how glass may be used in our homes and offices very soon. At Alamo Glass, we hope to be a part of these exciting glass concepts in the future. For now, we will continue to do what we do best, provide high quality frameless shower door installations, custom mirror installations and custom cut glass products in Dallas and Ft Worth. Please contact us if you are in need of glass.